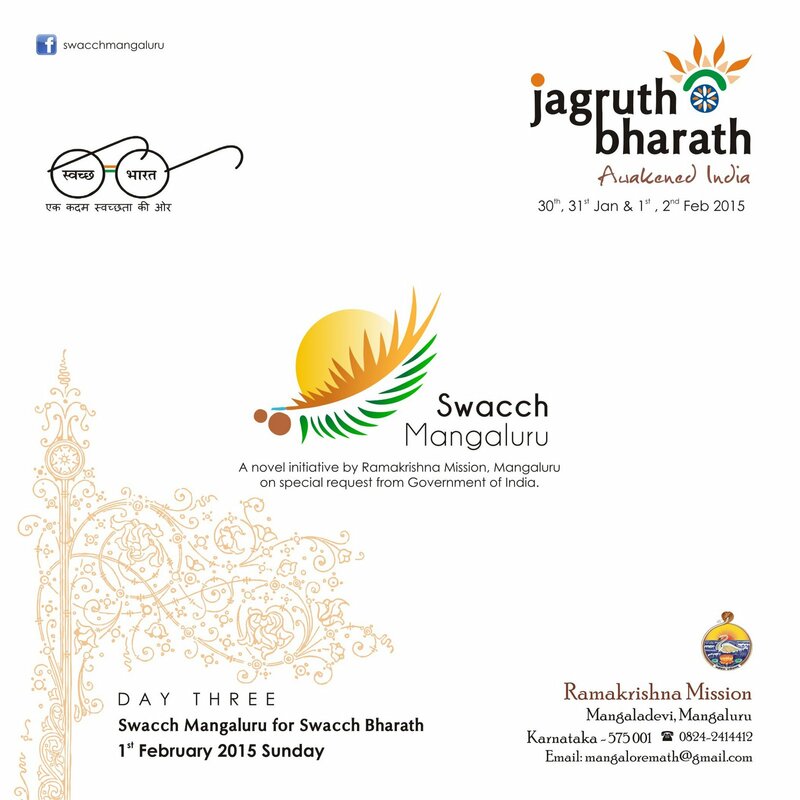 Swach Bharath | Ramakrishna Math & Mission, Mangaluru. “Who is there to take up my duties?” asked the setting sun. The world remained dark and silent. With joined palms said the earthen lamp, “I will do what I can, my master!” writes Tagore. 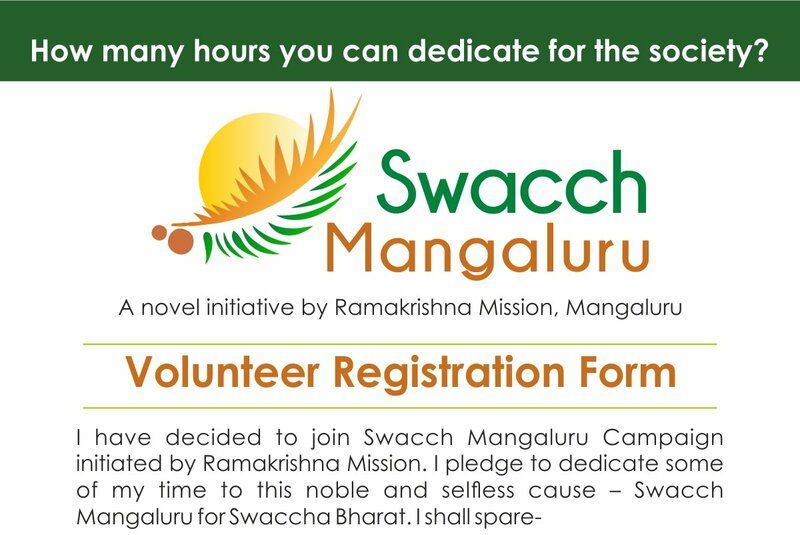 Ramakrishna Mission, Mangaluru set out on its journey of 40 weeks’ cleanliness drive with a similar attitude, to do what it can after the request from Govt. of India to join hands in the Swacchata Abhiyan. We had our share of bouquets & brickbats as all such noble endeavors are bound to meet with. But we also had the unstinted support and cooperation of hundreds of our volunteers who were eager to join us and ‘be the change they wanted to see’. Chilly mornings or the blazing sun never for a moment deterred their determination to contribute their mite in this Abhiyan. 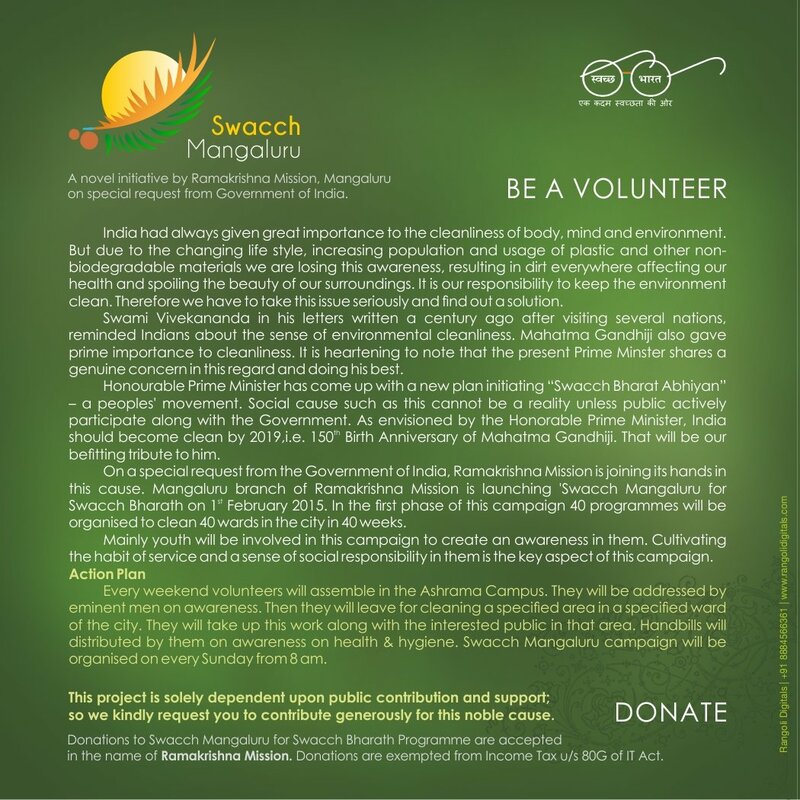 But for their sacrifice our Swacch Mangaluru Abhiyan could not have come this far. Our main focus, even from the beginning, was not so much to sweep the city of Mangaluru clean but to create an awareness among the public about cleanliness. So, in spite of several apprehensions and discouragement from various quarters, the Ashrama took to this novel initiative and involved more and more students and youths on whom the future of nation rests. 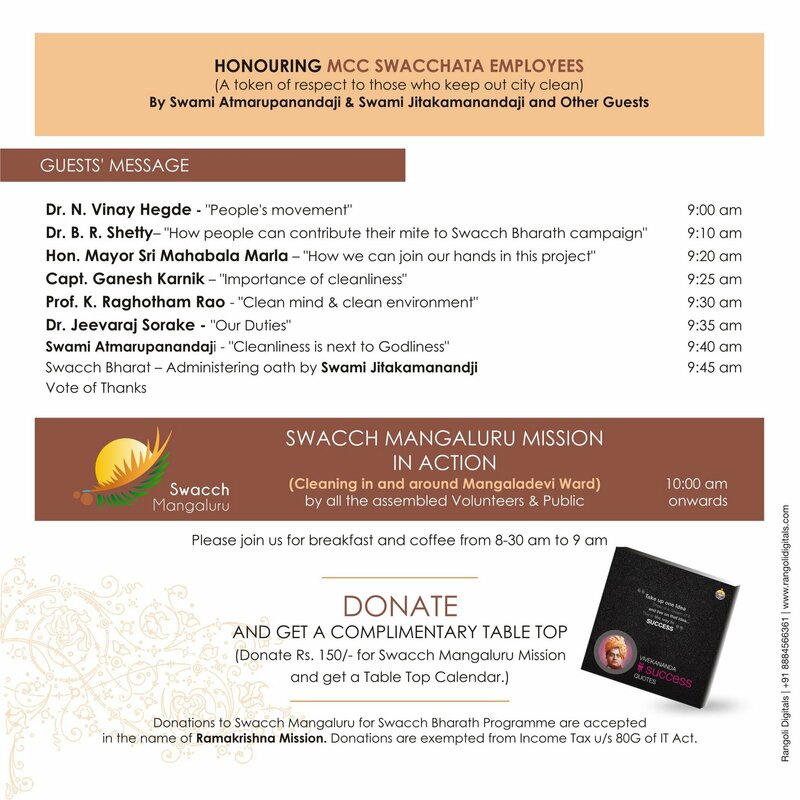 As we enter the 40th week of Swacch Mangaluru Abhiyan which concludes the first phase of this drive, we would like to thank all our volunteers on this occasion.